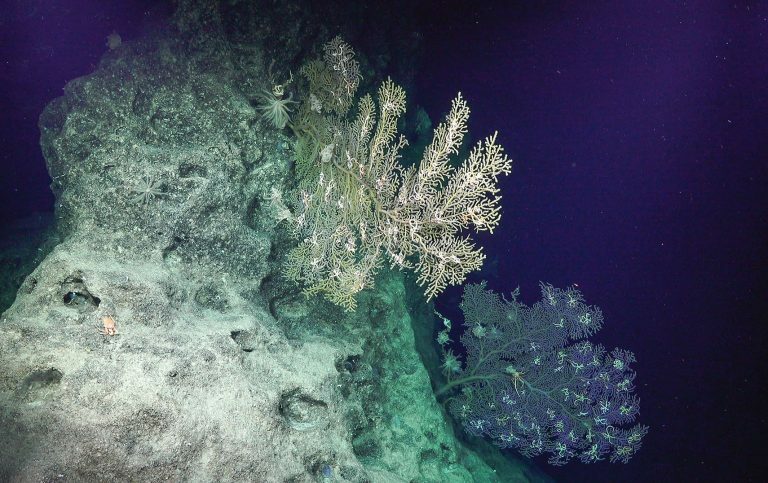 Two large (2m wide) Plexaurid Corals with brittle stars on Orona Atoll. 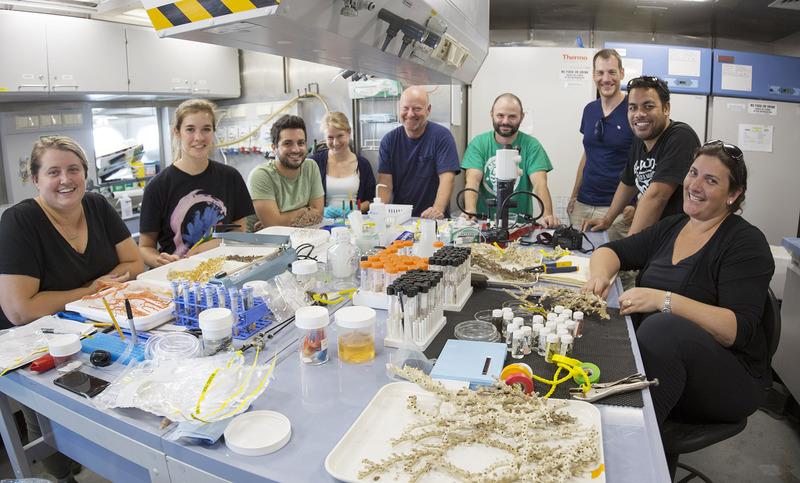 Scientists return on Schmidt Ocean Institute’s research vessel Falkor after conducting underwater robotic dives in never before visited waters in the Phoenix Islands Protected Area (PIPA). 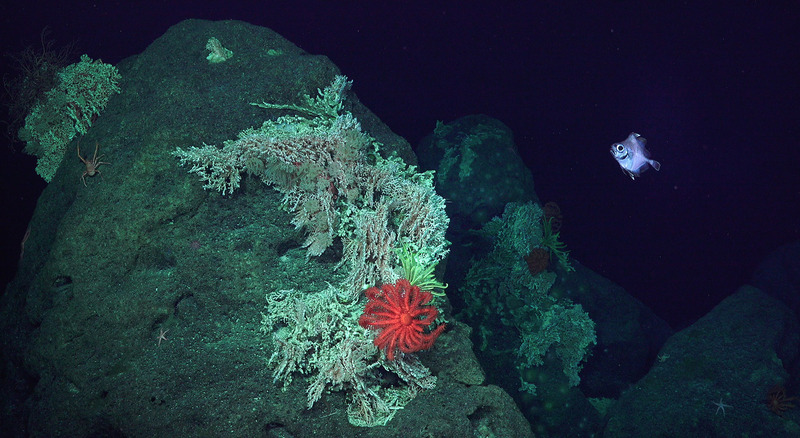 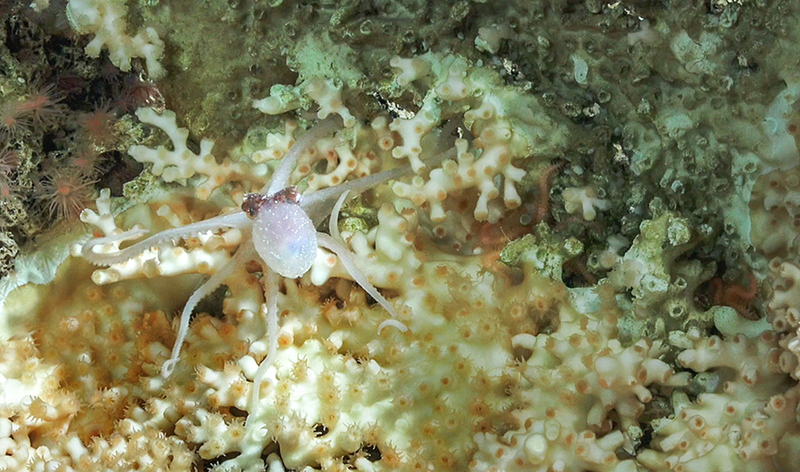 The expedition on board of R/V Falkor has made a major contribution to the field of marine science, defining the habitat zones of a seamount from the deep sea to the surface for the first time, and discovering at least two new species of coral and crab. Researchers collected the deep sea specimens by using a new soft robotics technology, “squishy fingers”, for adaptive sampling developed by the Wyss Institute and Harvard University and further refined by 3D printing on board while at sea. 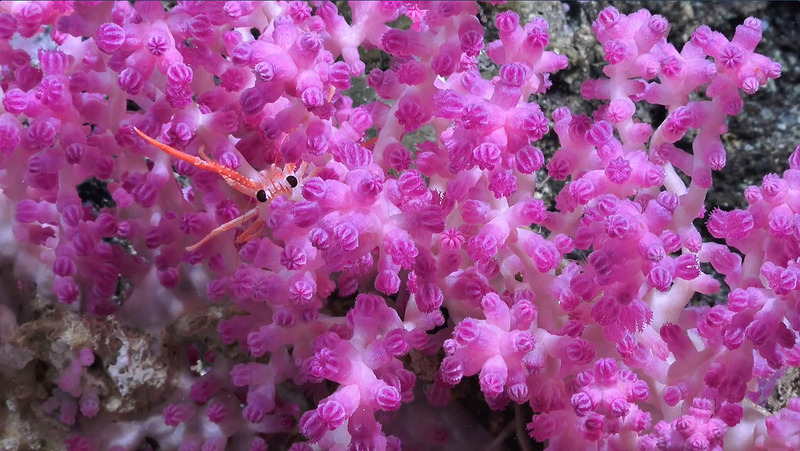 All the robotic dives were livestreamed in high definition on Schmidt Ocean Institute’s YouTube and Facebook page, attracting over 100,000 views. 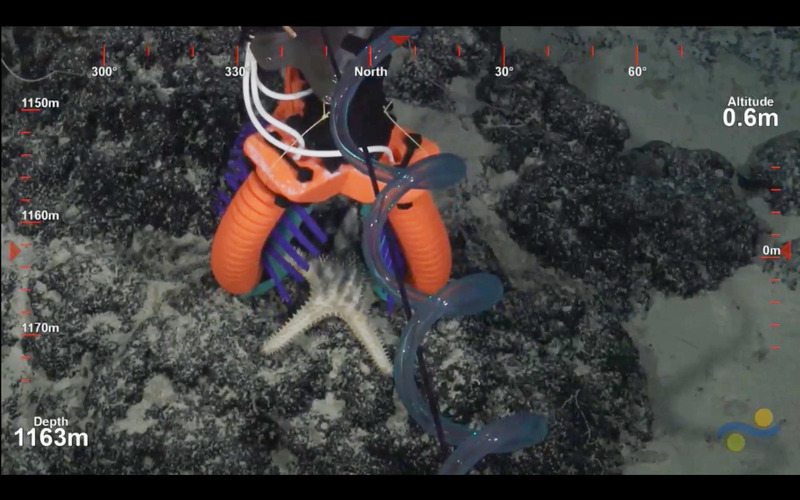 The diving and camera technology on ROV SuBastian allowed the scientists to make new observations of octopus behavior; and capture one of the deepest records of mantis shrimp observed. Videos will be held in perpetuity showcasing breathtaking footage of deep coral reefs, dumbo octopuses, and six-gill sharks.